Caveat: I am a lousy photographer, so the forthcoming images are not glossy magazine worthy. But I still wanted (needed!) 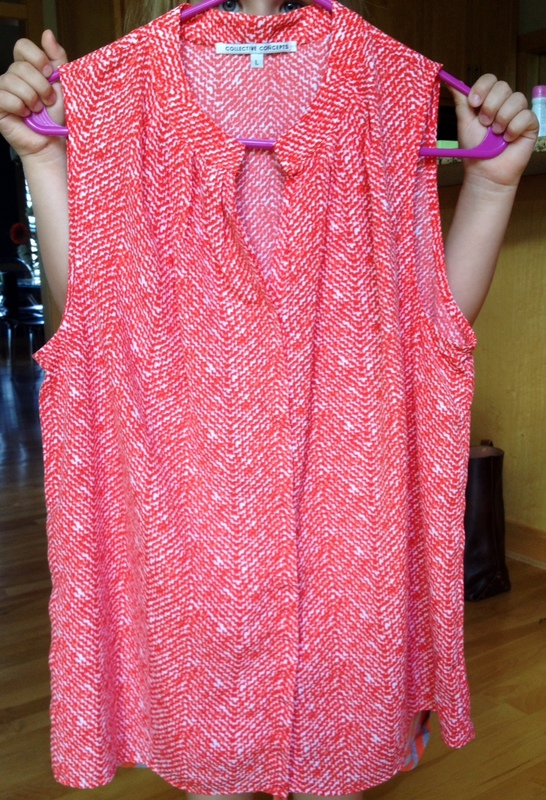 to share the contents of my first Stitch Fix shipment, because THEY ARE SO AWESOME. I’ve been boring anyone who will listen (or isn’t fast enough to run away) about my Stitch Fix scores for the past week. Since I’m new to Stitch Fix, I wasn’t totally sure what to expect. After placing the order, I gorged on reading other people’s Fix reviews to get a sense of what might be coming my way. Last Thursday I found out. 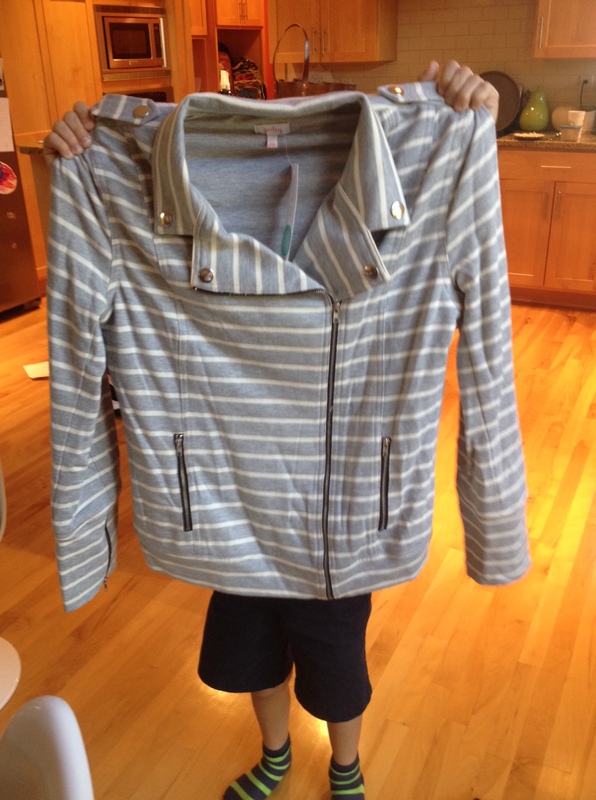 Ok, perspective is not good here since it appears like this is a ginormous headless jacket with tiny legs. It’s not. The jacket is really soft and fits well. The zipper is off to the side, moto style, and overall it’s very flattering. I could maybe dress this up enough to wear to work, but it would also transition to a night out or even gym to-and-fro. Winner! This picture is just sad, and I hope Stitch Fix doesn’t cancel my account due to poor representation of their merchandise. 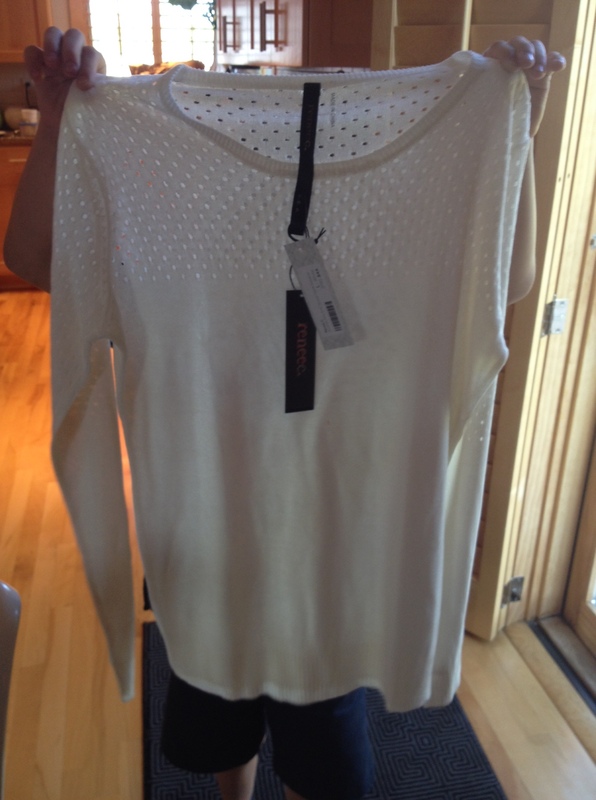 This is a scoop neck, long-sleeve thin white sweater with a loose/open knit on the upper third. This definitely can be worn to work under a suit jacket and my stylist recommended wearing a bright tank underneath for a pop of color. I love that idea! I’m on the hunt for a bright pink one. This is classic Stitch Fix style. I’ve seen versions of this shirt on Pinterest and in many Stitch Fix reviews. Now that I have one of my own, I understand its ubiquity; it hits in all the right spots. 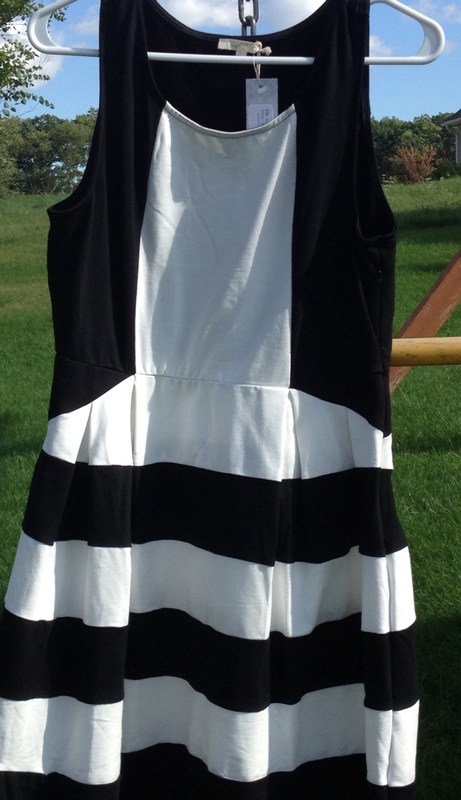 Style notes suggested wearing it with white pants, wedges and a statement necklace for summer. I already put it with a suit and wore it to work with lots of compliments. I took this outside to catch a shot in the natural light. Of all the items, this was my least favorite. It’s a cute dress, but the cut didn’t hit me right at the waist and the skirt is really full. We’re talking Mad Men full. I think I can still salvage this by wearing it with a short, fitted cardigan. Kept. This was my favorite item in the box! 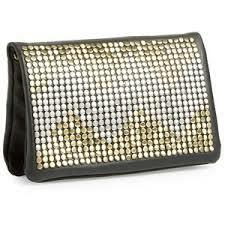 The studs on my clutch are in copper, silver and gold tones. 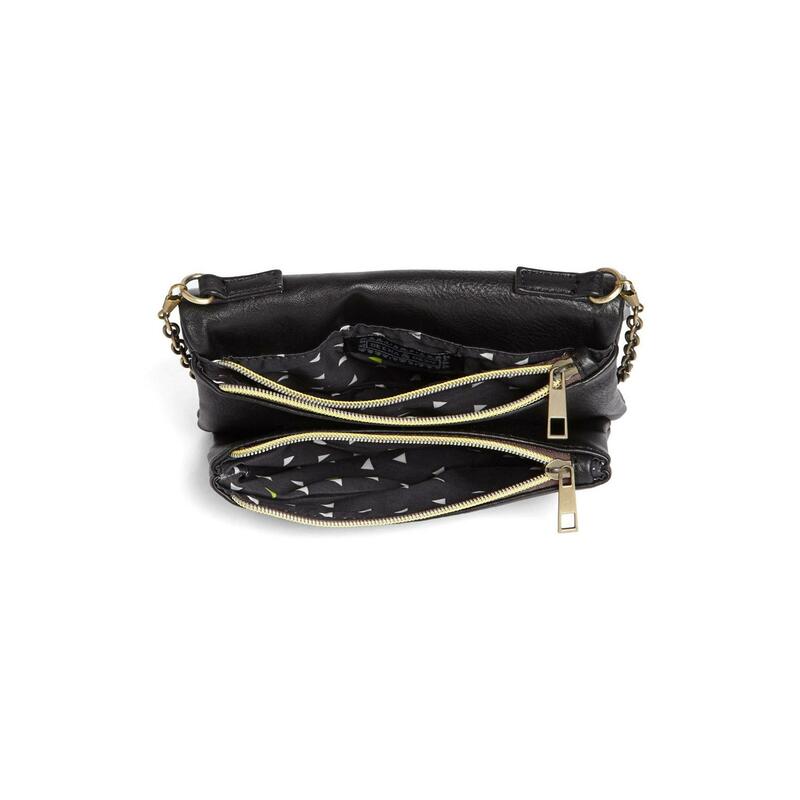 There’s a chain strap inside so this can be worn as a cross-body bag. 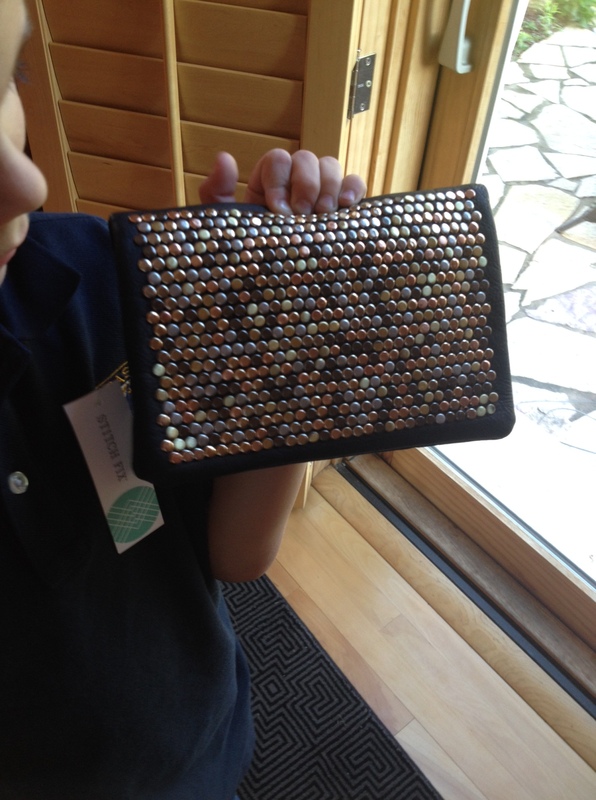 The inside is really clever, too, with zippered pockets to hold necessities. This piece is so unique! I love it. Overall verdict: Four out of five items were total winners. I bought them all. To keep all five, it was about $200. Returning the black and white dress would have been roughly the same price, since there’s a 25% discount to buy the whole box. Initially I signed up to receive a Fix every other month, but after receiving this box I asked to have another sent to me in the beginning of October, just before an upcoming trip to Hawaii. I can’t wait to see what I get. 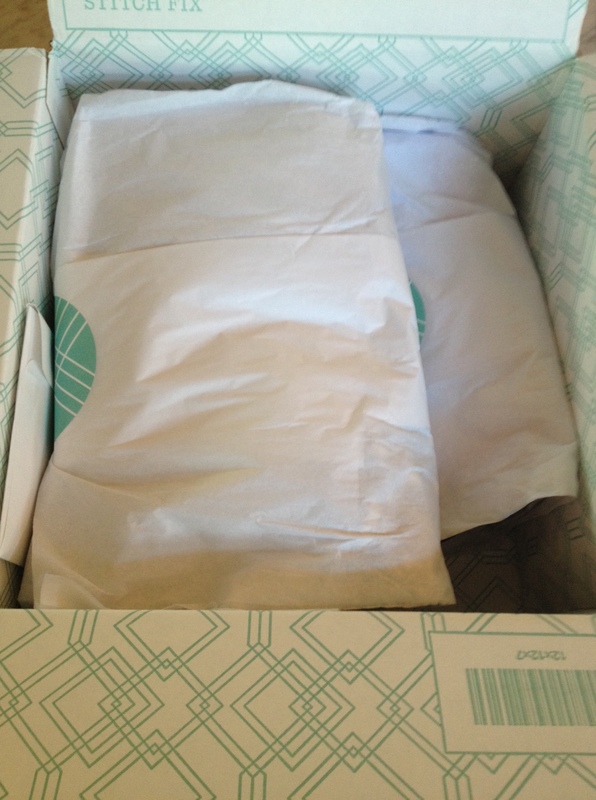 Let me know if you try Stitch Fix! A few of mine friends do this…mixed reviews from them. I’d imagine getting the package is pretty fun. A mini Christmas every month. The element of surprise gets me every time.